I try super-uper-duper hard each semester to insure that every child in our homeschool co-op has a reason to be excited about co-op. I work even harder to make sure my own kiddos will enjoy their classes. 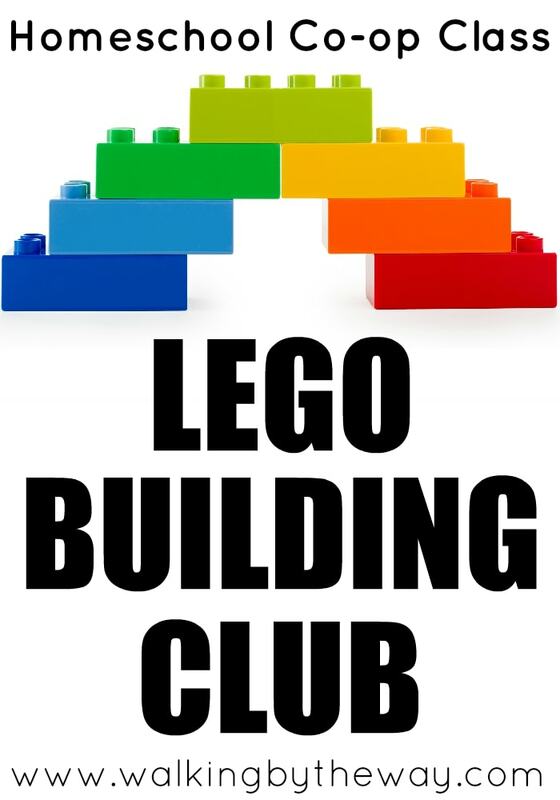 I was already teaching my max, but I tossed the idea into the hat for a LEGO Building Club. 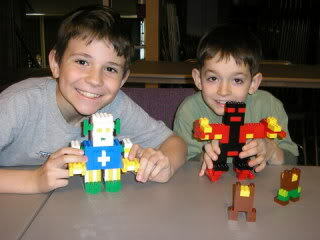 This was probably my son's favorite-ever co-op class. Ever. It will probably remain his favorite for the rest of his life. Since I wasn't able to teach my idea, I helped a few other mothers structure the class and organize a syllabus. When we were brainstorming about this class, we decided it should have a little bit of structure but not too much. 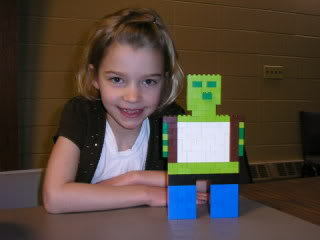 The students were given ample time to create their amazing LEGO projects, but they were also given challenges. Each class ended with a mini-lesson on presentation (eye contact, speaking loudly, posture, etc.) and a time of showing and telling what was made that day. This gave each student nine opportunities to practice presentation skills. You can look at the syllabus by clicking on it below. It contains the class description, target age, course outline, supplies, and materials fee. Feel free to steal content of the syllabus for your own co-op class. 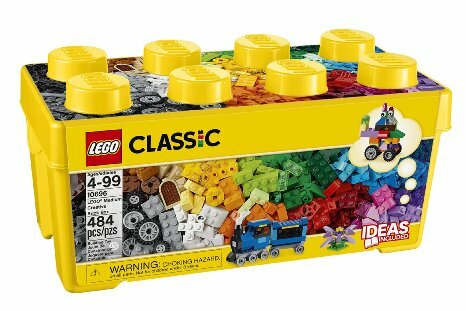 There weren't any class fees, but each student was required to bring a bucket of Classic Bricks to class. Kids loved this class. It only requires a tiny bit of prep for the teachers, and the students have multiple opportunities to present in front of a group. It's a win-win-win creative co-op class. I have lots of Creative Homeschool Cooperative Classes compiled here on the blog. You can also check out my Homeschool Co-op Class Ideas Pin Board. Follow Homeschool Share's board Homeschool Co-op Class Ideas on Pinterest. 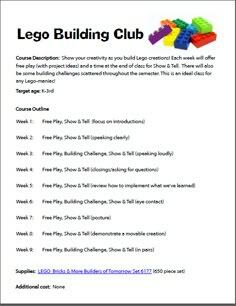 I really like this idea my son has really enjoyed building with legos…I was going to take your syllabus and share it with others in my homeschool group. Does each child need a the set of legos or does the teacher supply one set? We will have to try this class in our coop! 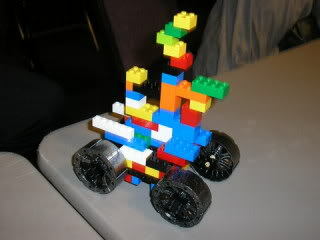 We had a mom do lego robotics last year and it was a big hit. But I like this "free play-challenge-show n tell" format. Ami, how big was your class? This is an awesome idea for a homeschool coop class. I was looking for something to do that was more boy-centered, hands-on. Thank you for sharing! 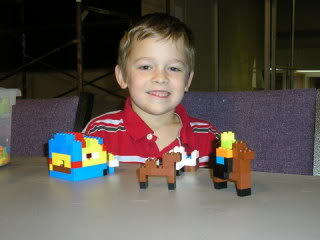 I just came across your blog and I am interested in the Lego class. I need to submit to our Co-op what I would like to teach. You mentioned being able to click on a link to the syllabus and I was unable to find it. How long does your co-op classes last? I’m sorry to be so dense, but my computer screen only shows the blog post and the comments. I don’t see any image for the syllabus. Your blog gives good ideas. I must either be blind or my computer doesn’t show this image. Thanks so much for emailing me the syllabus! I am looking for a 12-week class for next semester. I think this could easily be adapted to 12 weeks. Do you see any reason why it could not be? Also, did you require each of your families to buy the Legos Bricks and More Set? Or did you just buy several sets for the class? I'm just thinking of cost for families, which I'd like to keep to $20 or less. I think it could be adapted, too! We did require the families to buy the sets. Thank you for this wonderful info!!! Thank you for the information. I've been seriously considering starting a club.